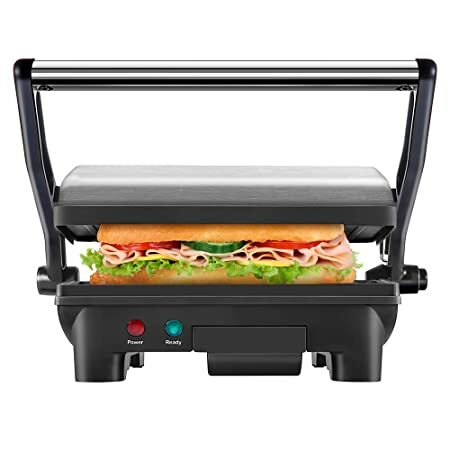 On Amazon.com you can now buy this Chefman Panini Press Grill and Gourmet Sandwich Maker for just $17.11 (regularly $27.95) – lowest price ever! This panini press features a floating hinge that adjusts to accommodate thin or thick paninis and sandwiches, while its lay-flat grill is perfect for grilling meats, veggies and more. The grill surfaces are nonstick and it also comes with a dishwasher-safe drip tray – so clean up is a snap!